The North Shore Oahu real estate market consists of the following: Haleiwa, Sunset, Pupukea, Waialua, Laie, Malaikahana, Mokuleia, and Waimea. Life on the North Shore can be likened to the culture and life on Maui, Kauai or the Big Island. All of these places are remote and far from the city; thus, the sameness of the wayof life. 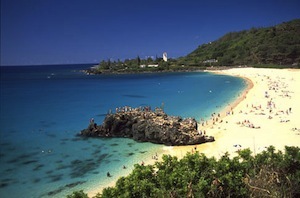 In the winter, the famous Pipeline, Sunset Beach and Waimea Bay bring giant waves and attract about a million tourists. If you want to live in North Shore, you may not want to commute to the town proper. On any given day, it usually takes about 40 minutes to get to Honolulu with no traffic. Thus, if you’re one of the lucky people and can afford a second home in North Shore, then go right ahead. Hawaii’s North Shore has a beauty and tranquility to it. The only concern that you may find is the 2-lane road that spans all the way through the country. The small road means that during the big wave season, you can definitely expect major traffic. For many, living on the North Shore is a dream come true. The area is scenic and quiet most of the year, until of course the big wave season. There isn’t a lot of activities do to in the North Shore area other than surfing and enjoying the ocean or country. There are only a few stores found here; and not malls. Aside from the surfing culture, you may not be able to find any other niche. The country part of Oahu is great for surfers, residents with local jobs, vacationers and people who just want to live a quiet peaceful life centered on the beautiful beaches. Surfing and Hawaii have always been associated. The Waikiki waves were considered too small for the surfers who wanted bigger waves and the thrill of chasing them, and dropping or riding a 15-foot wave equivalent to a five story building in height. The North Shore of Oahu gives these surfers what they crave, and surfing large waves on the North Shore is very popular. Surfing is a culture on its own, even recognized by the big marketers and corporations that cater to the sport and the people who practice it or that attempt to practice it. Even that the North Shore is popular for its surfing there are other things that you can do there, such as hiking, visit Haleiwa town, and tons of activities as well as tons of places that are rich in cultural and historic significance. The atmosphere at the north of Oahu, is more quiet and relaxed, and compared to the south, there are fewer people living there. The winter brings large waves and surfers flock there, soon to be vanished by spring. In the summer, there is a lack of wave activity, which is the perfect water condition for some swimming and snorkeling. There are many vacation rentals at the North Shore, such as the Kawela Bay Beachfront Homes. Haleiwa is mostly a quiet town, except in the tourist season and in the winter, when surfers flock to find the great waves to ride. This charming town has many art galleries and shops where you can find clothing, furnishings from Bali and Indonesia, marine art, and it also has many surf shops - of course - and coffee shops. On the North Shore, you will find very nice bed and breakfasts. Check out Treetops Rental and Ulu Wehi B&B. In Main Street, you will find a few fast food places such as McDonalds and Kentucky Fried Chicken, which do not do anything for the beauty of the picturesque street. On the contrary, along with Chevron these big buildings stand out as big eyesores. Here, winter becomes the busy and crowded season, and summer is the quiet and relaxing time, when the waters are perfect for snorkeling and the price of accommodations go down. Haleiwa, known as the Home of the Frigate Birds, is the most popular town on the Oahu North Shore. It has charming small town flair and colorful homes along Main Street. This small village was established in 1832 by missionaries, situated just where the river goes into the ocean. This is the perfect setting to have a shaved ice from Matsumoto's General Store, a popular establishment. Here you can find a local delicacy - Ice cream with beans at the bottom. If looking for surfboards or beachwear visit Surfer City. If you continue traveling along the North Shore you will find the old sugar mill, and pass that, you will delight in the beaches that the Mokuleia coastline offers. These are some of the most secluded and deserted beaches. You will see some fishermen, but you can enjoy these clear waters to yourself. Nearby, you will find a YMCA campground and a Skydiving School. 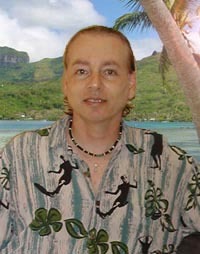 This bay is secluded and is close to the Turtle Bay Hilton Resort. It has white sand beaches where you can enjoy long beach walks and the beauty of the natural surroundings. Here you can also find many vacation rentals, and even apartments at the nearby The Estates, which are just around the corner. This beach is one of the most beautiful, with miles of delightful sand and beautiful sunsets. It is very clean and has great waves for surfers. Many professional competitions take place here during the winter months. Even if you are not into surfing, you can just sit and enjoy the power of the ocean or just observe the surfers who gather at the beginning of the beach. The famous spots for surfing are Kimmieland, Pipeline, Gas Chambers, and Ehukai Beach. For summer, it is a paradise for swimming, as the waters are calm and clear. You can stay at one of the many bed and breakfasts on this area or rent a vacation beach home on Sunset. If you are into scuba diving and snorkeling, you must visit Shark's Cove, a true diver's heaven and paradise. It gives Hanauma Bay a good competition, as it is even better during the summer months. You will find ledges, arches, and amazing tubes at the reef, one of the most interesting natural spots that you can explore to your content. If you are at the mouth of the cove, you will soon realize that the depth of the ocean is about twenty feet; if you are on the outside, it is about forty-five feet in-depth. The waters are very clear here, which makes for excellent visibility. On the winter months, which are November through April, the ocean becomes rough and visitors must realize the hazard when enjoying ocean activities during this season. If you are traveling from Sunset Beach, there is a small bridge to cross, which will take you to a turn left into Waimea Falls Park or if preferred right into Waimea Beach Park - either offers the most beautiful surroundings. Here, the beach is wide and sandy and is a closed bay, which makes it safe and popular for swimming during the summer. Heading west you will find deserted beaches, towards the Kaena point, however, offering spectacular views that remind the visitor of the spirit of ancient Hawaii. Mokulea beach is a rocky beach. It may not be suitable to take a swim, but it certainly offers the best views of the North Shore area. The wilderness extends after Mokuleia beach, where the paved road disappears. You can hike for about two and a half miles to end up at Kaena Point. This is a peninsula west; it is stretch as a needle, and the result of lava. Legend has it that the ancient souls of Hawaii would go there and leap into the world of spirits, and the location pointed the way. From this location you can see the North Shore, but also the West Shore. Another legend has it that the demigod Maui brought the islands closer by pulling one of the rocks. This area is constantly pounded by waves hitting on the rocks.